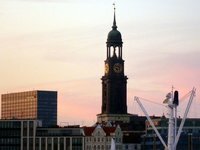 Located in the heart of Hamburg - in the picturesque town of memory - the historical memory ground built in the 19th century, combines modern comforts with the flair of old merchant tradition. The lovingly restored location with pale wood floors, ceiling beams and typical mullioned Windows stretches over 750 m² and can be divided into up to three smaller units. Ideal conditions for professional meetings or lavish parties, romantic weddings and large dinner in an exclusive circle. The storage floor public transport is only a few minutes from the city centre and the main train station, easy to reach. At the same time, the situation between Kehrwieder and Hamburg's new trend area, HafenCity, brought the location in the new centre of the Hanseatic City. Special highlight is the direct access from the historical storage floor in the adjacent miniature Wonderland. So every meeting, every dinner and any corporate event can be - combined with a guided tour through the spectacular interactive exhibition exclusively and without waiting. The historic surroundings with its bridges, canals, and trading houses offers an ambiance striking Hanseatic merchant tradition - and is the ideal setting for corporate and private parties, conferences and workshops. The stylishly renovated location with your wood floors, beamed ceilings and the typical mullioned Windows on 2.000 m ², spanning two levels and can be partitioned into up to five smaller units. Ideal for large meetings or lavish parties with up to 1,200 participants, stylish weddings and elegant dinner in the exclusive circle. Lovingly restored room with pale wood floors, ceiling beams and typical mullioned Windows.